Reduces the need for costly repairs. 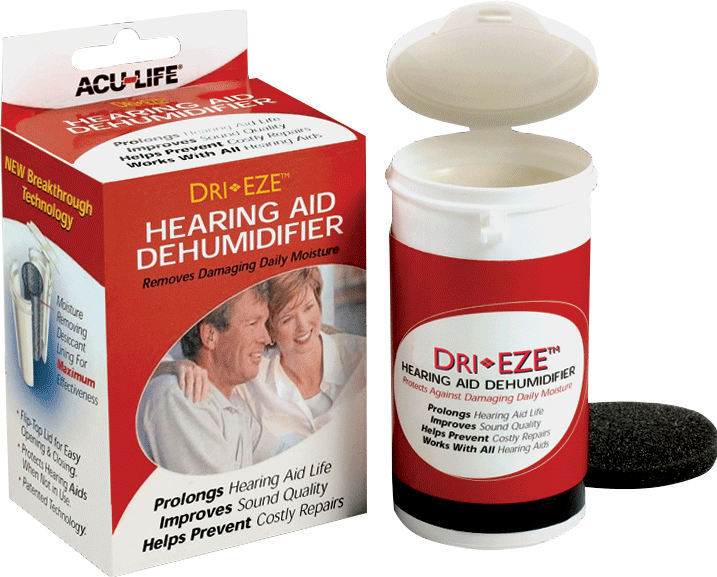 Easiest and most effective hearing aid dehumidifier. Simply place the hearing aids into the Dri-eze™ Dehumidifier before going to bed and close the lid. Flip-top lid for easy opening and closing. Protects hearing aids when not in use.